A lot of companies create internal / external engagement platforms for employees and customers to suggest improvements, product recommendations. The trend is more common in technology industry with the one of the most notable example being that of Ideastorm by Dell. A lot of IT service companies also promote the use of internal wikis and collaboration platforms to encourage employee participation in one way or the other. However, it is seldom that one hears employee engagement in a core manufacturing company and an automobile company at that. Automotive companies are infamous for labor unrests and the losses the companies faces as a result of frequent strikes etc. Hence, I was pleasantly surprised when I read this article which said that Maruti saved close to Rs 160 crore last fiscal largely due to inputs received from its employees through various engagement programs. The company apparently runs a lot of engagement programs encouraging the employees to come ahead and give suggestions on improving efficiency and productivity. According to a senior executive officer, the company received around 2.29 lakh suggestions from its employees ranging from minor changes to significant improvements. Implementing the changes suggested by the workers has resulted in significant cost savings for the company. The article does not share any concrete details on which ideas/suggestions did Maruti implement to save costs but it surely is striving for transparency in the workplace. Involving employees at all levels and encouraging them to contribute towards the company’s growth is a brilliant move. Rewarding employees for their inputs is the icing on the cake and further encourages participation. 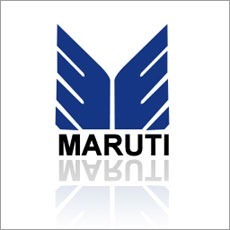 In an industry which always tends to have trouble managing its workforce, Maruti seems to be doing a great job at not maintaining cordial relations with its employees but also benefitting from their inputs. Taking the idea further, I wonder if & why we don’t get to hear of many more positive examples of employee engagement initiatives or is that not a lot of organizations encourage it. The monetary benefits like in the case of Maruti may not be evident but I am sure harnessing collective intelligence of the workforce can only work in the employer’s favor. The infrastructure to facilitate an engagement platform could be a show stopper but with the exponential rise of social media tools and enterprise collaboration platforms, I don’t see it as a major problem. A little push from the senior management and a transparent governance mechanism should do the trick in my opinion. What’s your take on encouraging employee participation in improving the organization’s operational and performance dynamics? Does your organization encourage suggestions to be a part of it’s growth story? What makes something go viral on the Internet? Where is our literature headed with Twitter and Facebook fiction? Why brands fail to converse with their customers on Social Media? At SAIL(Steel Authority of India Limited),we have such a creativity scheme named :SRUJANI where suggestions are received from all employees round the year.Separate boxes are placed through out the shop floors,control rooms,offices where anybody can drop a suggestion.All such sugesstions are reviewed on quaterly basis and if accepted such employees are rewarded by cash or gifts.Many best suggestors have also been rewarded at the National level by “Shram veer,Shram Bhusan,Viswakarma rashtriya awards etc. Several employees have been given out of turn promotions and free sponsorship for higher education/training. Most of the owners of companies consider the employees to be working for the betterment of the company. They think its the duty of the employee to make suggestion and think they recieve salary for that. But the point is the employee is paid salary “to work” as instructed by his senior. During his work if he finds that by doing “something” if productivity increases or it eases physical work, it is a commodity. The employee is not paid salary to find the commodity. Even if he wont inform the comapny about his finding, he will continue to get his salary and the company loses on the commodity. So it is in the benifit of the company to encourage employees to keep looking for such commodities, in addition to doing their job. No matter how small the recommendation is, the company has to reward him proportionately. Once you do it, all people come forward with ideas which combined will have considerable effect on bottomlnes. Proof is the above article itself. The 160 crore saving in costs may not have been due to a single employee. It might be the collective effort of many employees. As far as Air India goes, yeah I agree with you. I dont believe the Air India management is capable of taking any positive decisions. The only conclusion is they did it out of neccessity. The cost of using employees is definitely less and much more effective since the non-tangible benefits come in the form of satisfied and involved employees. Nice to see your article on Trak after a long time. I even checked time to time with Viral about your noticable absence from Trak. Now coming to the topic of the article, about the suggestions from employees, I consider the “suggestion” as a tradable commodity. If due to some change in management or process, the productivity improves, the company is benifiting from it. A good comapany is always on the look out for such improvements. Most of them approach consultants and pay them handsomely to recommend any improvement. The point is if we compare the recommendation to technology, it is normal for any company to pay a fee for the technology. In the same sense, it pays to consultants. Same way if the company finds the recommendation internally, I dont find any objection for the company to pay the employee who suggested it. The recommendation is a “product” which helps the company improve its bottomlines. Infact such recommendations from internal sources (employees) cost the company much less. Incidentally Air India also today requested its employees to seggest improvements in return for remuneration.